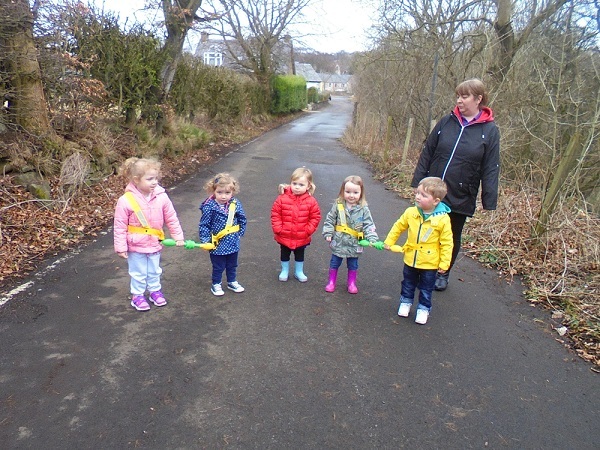 Happy Days Nursery is situated in a residential area, with close access to both nature and local amenities. It consists of three play rooms which are fully equipped with resources carefully selected to enhance children’s learning and development. There is also a large outdoor garden where children have freedom to explore, discover and ‘think big’, without limits. At Happy Days you will find practitioners who are passionate about providing the best possible care for your children. We believe that parents are the people who know their children best, so, we will come alongside you, sharing in your expertise. This partnership will be the bedrock to the successes we will share as, together, we watch your children grow and develop in their own unique way. We have a dedicated and experienced team who can empathise just how hard it can be for parents to leave your children those first few times. We will arrange visits, suitable to you, where you can spend time with your child in their playroom whilst getting to know the staff team. Be reassured that you can call nursery anytime to ask after you child. All practitioners strive to keep their practise and thinking current and are committed to training and taking part in professional reading to facilitate this. All workers at Happy Days are fully qualified, registered with the Scottish Social Services Council and hold a current First Aid and Child Protection certificate.